Resistance to wearables in the clinic space is to be expected. To this day, I have providers that complain that the electric blood pressure cuffs and digital thermometers aren’t as accurate as the old manual techniques. As a patient, I am also a bit nostalgic of the manual blood pressure cuffs and its big rubber squeeze ball. I used to love playing with that before my doctor walked in as a kid. Those familiar memories seemed to make the patient experience more personal than it is today. Most things in life were more personal then they are today. The way we communicate has changed. Rather than pick up the phone, most people send a text. Rather than write a letter, most people type an email. Even though most of us are resistant to change at first, we tend to adapt over time. For example, I never thought I would trust my rearview camera in my car. Now, I don’t know how I ever backed up without it. It has got to the point where I don’t look over my shoulder when backing up and have become completely reliant on this technology. These are just some examples of how we have adapted to disruptive technology changes and how that disruption became a part of our new normal. Wearables are the next generation of the new normal. We are living in a connected world and that is good thing. According to a PWC survey, 57% are excited about wearable tech in everyday life, up from 41% in 2014 with health being the number one reason for purchase. If people are investing in their health through wearable devices, more likely than not they would want this data incorporated into their care. The problem with this kind of technology is that if people don’t feel it is being used to help or reward them, the initial buzz wears off and so does device utilization. For example, creating incentives for employees to save money has been a big success in the adoption of wearable technology. Programs that offer employees some incentive for participating keeps those employees engaged and device utilization up. Ochsner Health System, a New Orleans-based regional hospital network, began using wearables in 2008 as part of a program that offered employees a device free of charge and asked them to reach a target number of steps to earn an incentive. Analysis over the years has shown that Ochsner employees who use wearables have lower medical costs than employees who do not take part. While companies are using wearable technology to promote better health for their employees. Healthcare organizations are not taking advantage of the personally generated health data that these wearable devices provide. Let’s look at heart rate. When someone checks in for an appointment, we take blood pressure and heart rate. These measurements do not give us a 360-degree view of the patient over time, rather it is just a snap shot of what that person’s heart rate while they are at their appointment. If that person was wearing a wearable, then the healthcare organization could see a heart rate trend over time by accessing the wearable app. Wearables can also help educate the patient to track and self-monitor. In the case of heart rate, if a person knows what their normal range should be, then wearing a fitness band could help that person track their heart rate, self-manage their condition, an in rare instances, save their own life. The SF Globe reported that a female noticed a spike in her heart rate on her Fitbit, called 911 and had a heart chamber problem. In this case, her self-monitoring with the wearable probably saved her life. Using this personal generated health data can improve clinical efficiencies, get a better history of the patient and be used as an education tool. Wearables and personal generated health data can also improve the patient experience. If a person is willing to invest in their health, these efforts if listened to by the healthcare organization, shows the patient that you support their efforts outside the clinic walls. When a patient feels like they are partners in their care, they are more likely to participate. We have seen a couple of examples of how engaged patients have lower costs at Ochsner and how a woman educated to heart rate norms knew she needed to contact 911 upon checking her wearable. These wearables benefit all healthcare stakeholders. For patients, it incentivizes them to stay engaged with their care to realize lower overall health care costs, better health outcomes and the ability to self-monitor. For healthcare organizations, personal generated health data give can better historical data leading to more accurate, personalized care plans and educational opportunities. 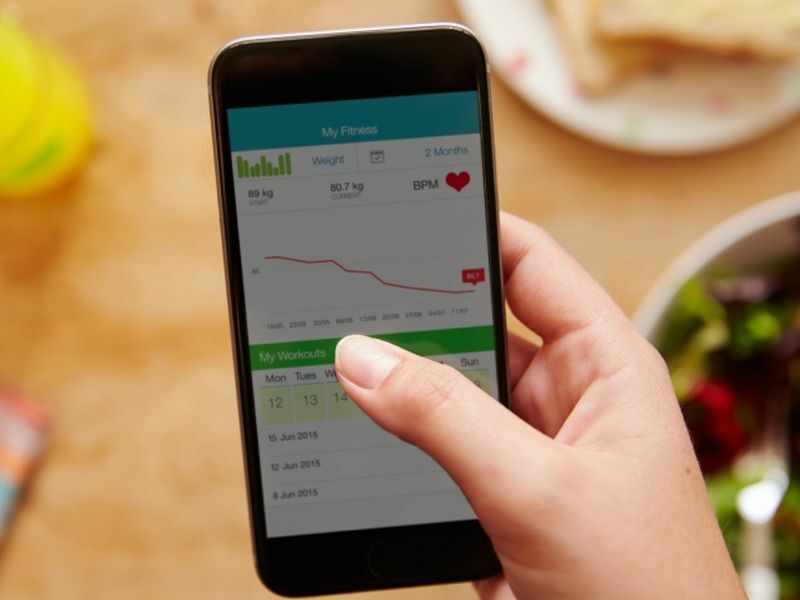 When there is a win-win proposition like implementing personal health generated data from wearable, why isn’t there more widespread adoption? The answer is most commonly that this technology is too new. At the end of 2014, Apple watch wasn’t out yet and FitBit was just starting to get momentum. This technology has simply not been around long enough for us to trust it, understand the security and privacy aspects and implement workflows that allow us to access this personal generated health data from outside sources. Once we allow for this change, it will have the same impact that the back-up camera had on driving. And that is a good thing. Interested in learning more? Click to schedule a demo today!